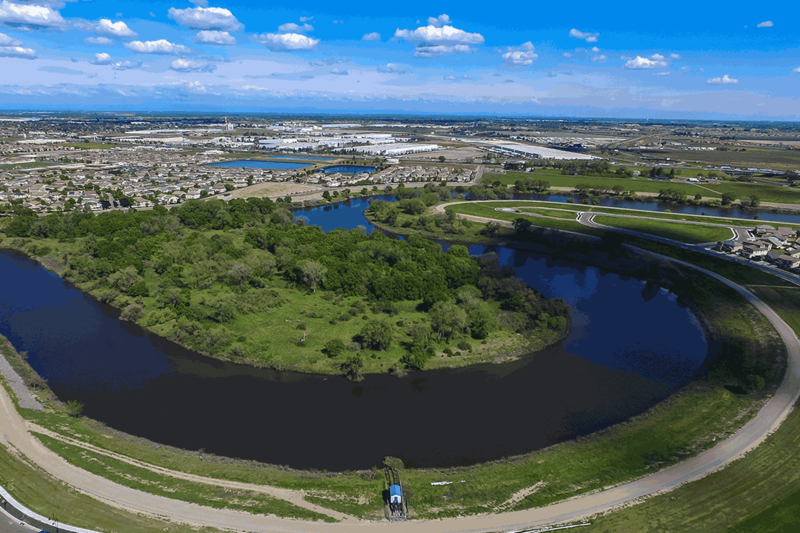 River Islands Is A Master Planned Community Along The San Joaquin River. Our almost 5,000 acre community has been planned to bring together all of the best elements of the relaxed Delta lifestyle with a vision that is decidedly green, healthy, high tech and in harmony with nature. We have envisioned a community comprised of architecturally-distinctive neighborhoods built by some of California’s most outstanding home builders. Schools that are in step with advanced curricula and state-of-the-art learning devices. A 350 acre business campus designed for research, campus uses and headquarters space. A beautifully-detailed downtown retail area, with businesses, shops and dining. Acres and acres of parks, playing fields, lake recreation and nearby access to the Delta. All connected to the Tri-Valley, BART and Silicon Valley by ACE Train. River Islands Is A Place To Live, Work, Learn, Play And Most Of All—A Place To Belong. The River Islands flood control program is unprecedented. 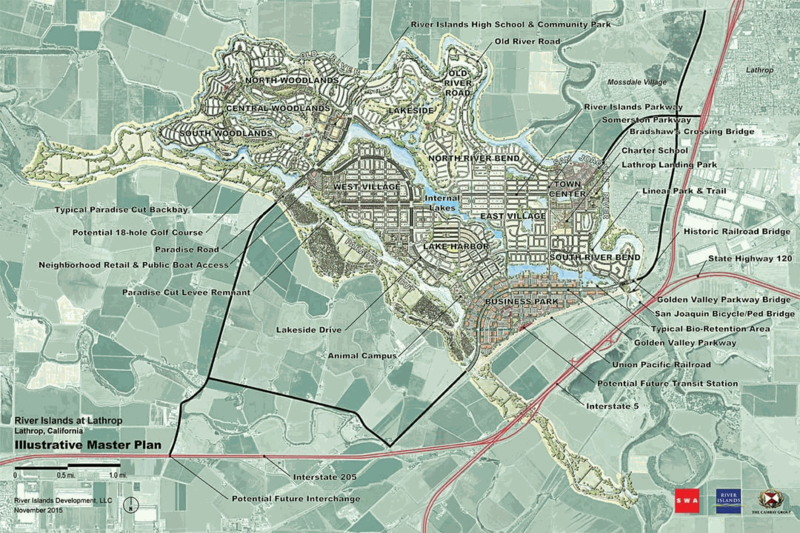 Specially constructed 300-foot wide “super levees” create a high ground perimeter at the river’s edge, providing a 200 year level of protection for the first 900 acres of the development and constitutes the flood protection plan for the balance of the project.